This year I couldn't help but buy the 2013 Frankie diary. I have been using my faithful Filofax for nearly three years now. I still love it and will be keeping it packed away in a draw for when I decide to go back to it. But the Frankie diaries gorgeous coral cover, whimsical illustrations and additional details like a pocket at the back and little stickers won me over big time. I am such a nerd that I have already started filling out birthdays and other things that are happening early next year. And guess what? 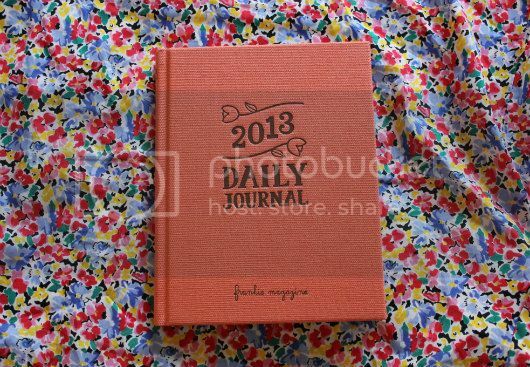 I am giving away a Frankie 2013 diary to a lucky reader to say thanks for reading over the last three years. The winner will also receive two gorgeous bracelets made by Clare from The Life of Clare. Clare was lovely and made one for me too and I have been wearing it all the time. The orange bracelet in the photo is mine, the winner will receive a blue and purple one. 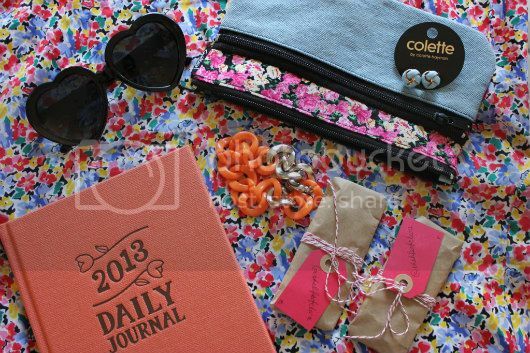 Also the winner will receive some little earrings, heart sunglasses and a Sportsgirl makeup bag! 3. For an extra entry tweet about the giveaway including my username @timeaftertea. Your extra entry must be a seperate comment or it wont be included. Good luck, giveaway ends on the 25th October 2012 and is open internationally. 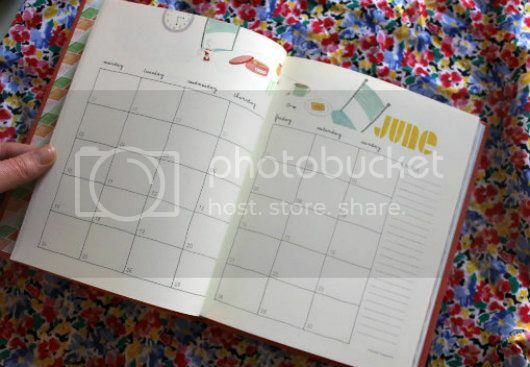 Fantastic giveaway - that journal is so cute! I follow you through GFC by the way. 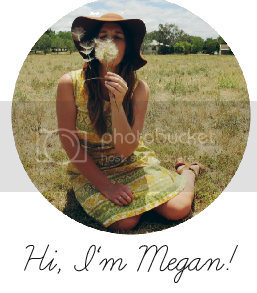 Megan Megan I love this giveaway. I love my Filofax but I wonder if I will get this one (if I don't win haha) A follower of course. You know I'm a long-time, faithful follower! We don't have Frankie here, so I would be thrilled to win! 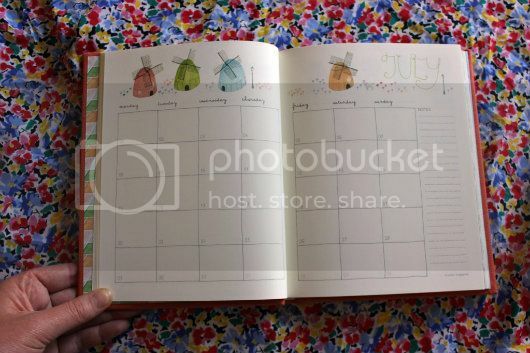 Was just thinking it's time to start shopping for a new dayplanner. great giveaway , thanks ! what an awesome little giveaway. I too have a filofax that I use for daily events/appointments etc. But keep a seperate diary/journal also! Also just tweeted about you! What a gorgeous giveaway! I would LOVE to win it!! Thank you for this fantastic giveaway! This Frankie diary is to die for!